Thousands of health-conscious people participated in the fourth annual Health & Fitness Expo, hosted during the weekend by NBC 4 New York and Telemundo 47. 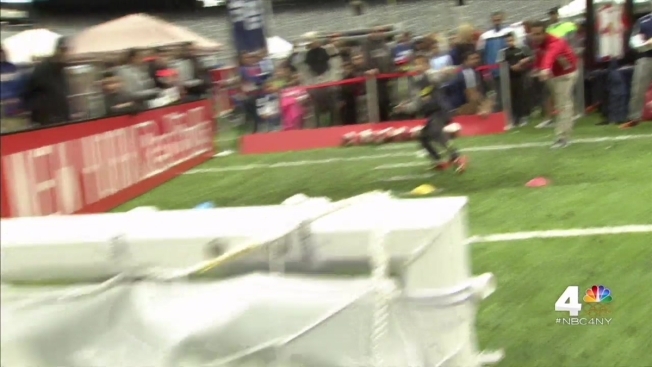 The two-day, free event at MetLife Stadium featured many members of the New York Giants. Co-hosts greeting participants included NBC 4’s Bruce Beck, Telemundo 47 sportscaster Veronica Contreras, New York Giants running back Rashad Jennings and Super Bowl XLVI champion Steve Weatherford, the fan-favorite former Giants punter. Other NBC 4 New York anchors and reporters also appeared at the expo, which was presented by Quest Diagnostics. New York Giants Rashad Jennings stops by to talk about the upcoming season & his participation in the NBC 4 New York and Telemundo 47 Health and Fitness Expo, presented by Quest Diagnostics this weekend. Big Blue players who made appearances were star wideout Victor Cruz, running back Shane Verezen; linebackers Mark Herzlich, Jasper Brinkley, Jonathan Casillas and J.T. Thomas; punter Brad Wing; nose tackle Damon Harrison; tight end Larry Donnell; wideout Geremy Davis; and long snapper Zak DeOssie. NBC 4 New York and Telemundo 47 are teaming up with the four-time Super Bowl champion New York Giants for one of the largest and open-to-the-public health events, the Health & Fitness Expo at MetLife Stadium. Bruce Beck reports. Former Giant, Super Bowl champion and current NBC Sunday Night Football commentator Phil Simms hosted a discussion on healthy living habits Saturday morning. Olympic stars and competitors from “The Biggest Loser” and “Top Chef” were also on hand for special events. 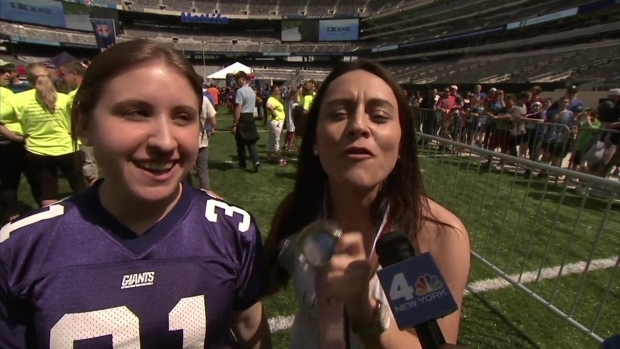 “At no other event can you kick a field goal on the MetLife Stadium field, visit the Giants’ locker room, meet your favorite television personalities and learn more about healthy living,” said Eric Lerner, president and general manager of NBC 4 New York. More than 2,000 runners and walkers got together to aid in the battle against arthritis as part of the 2016 Walk to Cure Arthritis, which kicked off the expo on Saturday. The Health & Fitness Expo offered events and exhibits throughout MetLife Stadium, ranging from tests and screenings to fitness and safety activities. Quest Diagnostics provided free health screenings to attendees 18-years and older. Tests included cholesterol, vitamin D and blood sugar level.